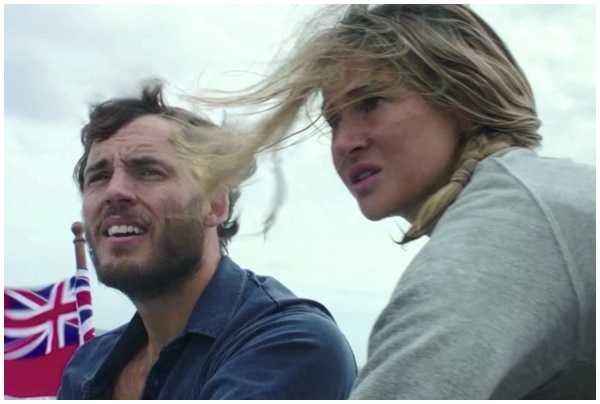 Adrift is based on the inspiring true story of two free spirits whose chance encounter leads them first to love, and then to the adventure of a lifetime. Adrift began with Tami Oldham Ashcraft’s incredible true story of perseverance, grit, tragedy and, ultimately, the sustaining, healing power of love. 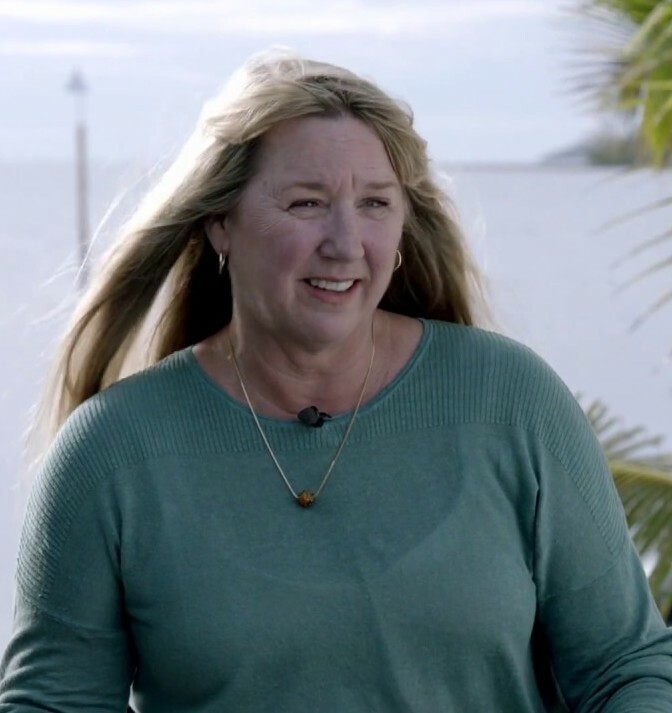 She chronicled the harrowing events of her 41-day journey from shipwreck to safety in her book, “Red Sky in Mourning: A True Story of Love, Loss and Survival at Sea.” The title is a rueful riff on the adage, “Red sky at night, sailor’s delight. Red sky at morning, sailors take warning.” But no mariner’s lore could have prepared Tami or her fiancée, Richard, in 1983 for the hurricane that shifted course and bore down on their 44-foot sailboat. Ashcraft wrote her book ten years after the accident with co-writer, Susea McGearhart, and it took her four years to complete it. Two of the book’s many fans were twin brotherscree nwriters, Aaron and Jordan Kandell. They discovered it when researching another seafaring story idea, borne of their love of the ocean. 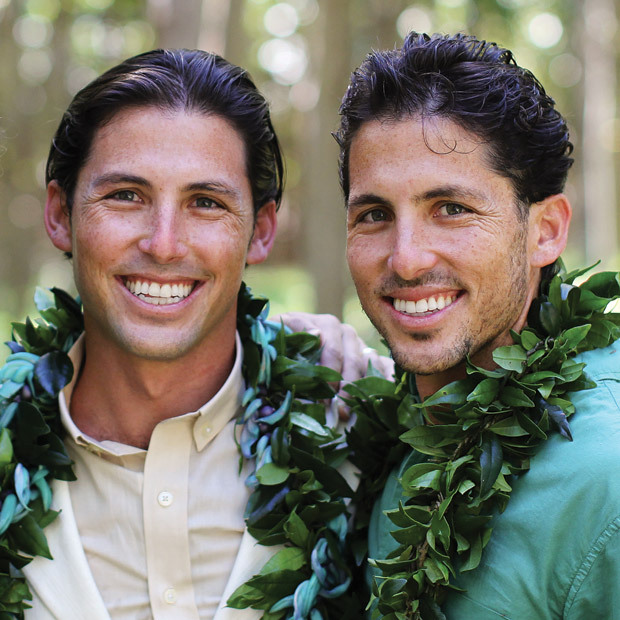 “We were born and raised in Hawaii and have always been very close to the water. We grew up surfing, kayaking, paddling and diving. The ocean has been integral to who we are. I had the good fortune to train on the Polynesian Voyaging Canoe Hokule’a and that was my introduction to sailing and it got me very interested in what it means to be out in the deep ocean, how that really cuts to the bone of who you are and how, in those extreme conditions, you discover what kind of a person you are,” Aaron explains. Identical twin brothers Aaron and Jordan Kandell (Co-Writers/Producers) are screenwriters, producers and freelance journalists. Born and raised in Hawai, the Kandells spent more of their childhood in the water than on land, so it’s no surprise the ocean features so prominently in their work – Walt Disney’s Moana and Adrift, most notably. The brothers and their screenplays Adrift and The Golden Record have been featured on three of the most significant lists in the business: the Black List, Tracking Board’s Hit List and the Young And Hungry list. Their feature film and television resume also includes a live action Aladdin for Warner Brothers; selling Sidekicks, a comedic spin on conventional fairytales as a pitch to Fox; and “NASA, an original TV pilot they wrote for Legendary Entertainment; as well as a Live Event TV adaptation of “The Nutcracker” for Paramount. The Kandells are currently working on “Super Normal,” an original comedy feature for Netflix starring Josh Gad, Luke Evans and Daisy Ridley, and a live action film for Disney. The Kandells’ reporting has been featured in Hawaiian Airlines’ Hana Hou magazine, United’s Airlines’ Hemispheres, and Surfing magazine, among others. They hold BA degrees in creative writing and film from/at the University of Southern California. The Kandells set to work writing the script. But the day they started ADRIFT is the same day they got hired for a different, yet thematically similar seafaring story, “Moana.” Both ADRIFT and “Moana” are films that follow a young woman who feels the calling of the sea and goes on an epic adventure with a more experienced sailor and gets caught in a storm. The day they finished “Moana,” the Kandell brothers dove headfirst back into ADRIFT. After writing the first draft, they sent the screenplay to their friend, Shailene Woodley, who they always hoped would play Ashcraft. “We’ve known Shailene since her role in ‘The Descendants,’ which filmed in Hawaii. We were on set for much of it and befriended her. Then Aaron was fortunate enough to be in Pittsburgh the year she happened to be filming ‘The Fault in Our Stars’ there,” Jordan explains. “Just a coincidence but that was also about the time we found Tami’s story. So, while we were watching Shai come into her own and really blossom as this incredible actress, we were also developing this story. And so, we wrote it with her in mind. The second we met Tami, she reminded us so much of Shai,” Aaron continues. “Yes, in her strength, her free spirit, her willingness to lead a different kind of life that followed her own sort of horizon and her own path. So as soon as we finished, she was the first person we sent it to, hoping, praying it would resonate with her and, fortunately for us, it did,” Jordan adds. In fact, Woodley did not respond immediately but for good reason: the actor/activist had been arrested on Indigenous People’s Day for participating in a peaceful protest against the Dakota Access Pipeline. “I got the script via email the day I was arrested and it got lost in my inbox. Then a month later, my agents called me and asked me if I knew Aaron and Jordan and I said, ‘Of course! They’re my homies from Hawaii.’ They told me they had written this hot script and sent it to me and asked me if I’d read it and that’s when I realized I had completely missed it in my inbox!” Woodley recalls. In the interim, filmmaker Baltasar Kormákur read the script and, like the Kandells, could only envision Shailene Woodley in the role of Tami Oldham Ashcraft and, with intention and hope that Woodley agree to star, Kormákur signed on as director/producer. Many things about Ashcraft’s experience appealed to Kormákur, chief among them, the opportunity to work with Woodley in telling this specific, female-driven story. “I had never done a movie with a woman in the lead before and I liked the idea of a young, strong female who is the hero of the story and I thought Shailene was perfect for the role. And I also thought the love story was very powerful, especially the way it was told. I had been hoping to do dramatic romance and this one explored the intrinsic, sustaining force of true love in a unique way,” Kormákur says. By this time, Woodley had read the script and was all in. “I was so captivated by it, by who Tami is and the love story. I really felt the energy of the divine soulmate connection between Tami and her fiancée, Richard,” Woodley recalls. 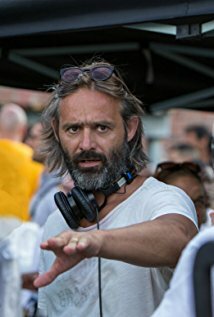 Baltasar Kormákur was uniquely qualified to direct Adrift. “I like to sail and did it competitively when I was younger, so that drew me to the material. I liked the distinctive structure, how the past unfolds and affects the story in real time, the mirrored juxtaposition of a relationship in the best of times and the worst of times. I thought it was an interesting mix of genres – a good love story usually needs an obstacle and the accident at sea of course provides that. The element of being in this dangerous situation and the love that gets them through it, that was compelling to me,” Kormákur explains. “Balt is one of the most collaborative people I have ever worked with,” Woodley remarks. “He has a strong point of view and he will fight for what he believes in, but he will also respect your choices and wants your input. To have someone like that at the helm, who welcomes everyone’s opinion, is a gift. The script was great, but he wanted me to bring my perspective to the part. He really solicited my viewpoint and heard me. I was most keen to ensure that we took care of and honored Tami’s real story. The story was so rich and had so much depth to its truth, I wanted to make sure we were honestly depicting what happened. He felt exactly the same way. I am so grateful to him for that,” Woodley explains. To that end, screenwriter David Branson Smith (“Ingrid Goes West”) joined the team, further honing the screenplay to delve deeper into Ashcraft’s story, reflecting Woodley’s contributions and her discussions with Kormákur. 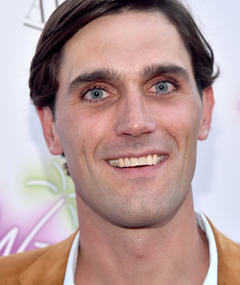 David Branson Smith was born in New York City in 1984. He began his career working for Mike White on HBO’s Enlightened and most recently co-wrote Ingrid Goes West, which premiered at the 2017 Sundance Film Festival and was awarded the Waldo Salt Screenwriting Award. The film was acquired by Neon and went on to be nominated for Best First Screenplay and Best First Feature at the 2018 Independent Spirit Awards, winning the latter prize. His next project with Matt Spicer is an original screenplay for Imperative Entertainment, the plot details of which are being kept loosely under wraps. 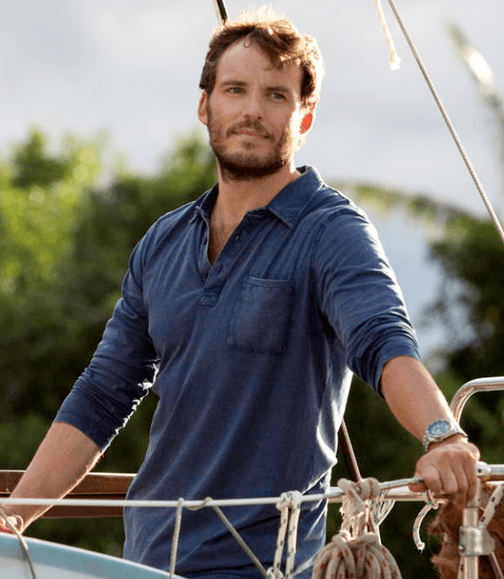 Woodley and Claflin rehearsed together for two weeks in Fiji prior to principal photography which cemented their bond. “It was so helpful. We immediately felt a fondness for each other and then a relatability. We really just clicked. It was great to get to know him outside the work environment, to go over the script. Working with Balt, we went through every single scene to make sure the characters developed the way we all saw them. 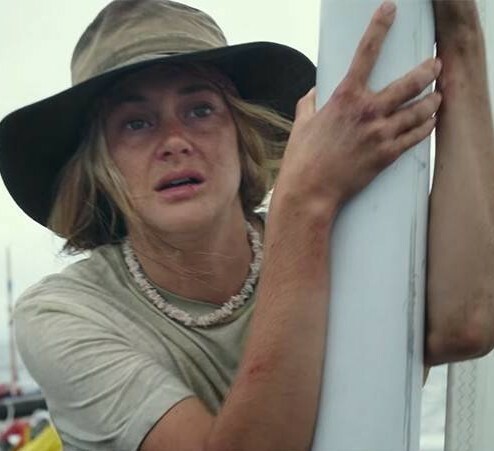 There was a truthfulness to our relationship that resulted, hopefully a chemistry, based on how we experienced the characters before we even got on the boat,” Woodley recalls. The romance between Richard and Tami initially attracted Claflin to the project and became his touchstone throughout filming. “I always approach the script from the character I would be playing, but what was amazing about this was that I began to read it through Tami’s eyes too, their connection was that intense. I really fell in love with them and rooted for them. After doing more research on them, the story became even more compelling to me. And of course, I knew it would be easy to fall in love with Shailene, and it was.” Claflin says.